Always Great Service is Not Just Our Name... We Are a Service You Can Rely On! Family Owned & Operated, AGS, LLC is local Cypress Roofing Company that has been serving Greater Houston for over 15 years. We will be here long after the storm is over and AGS is your go-to source for all your home or business roofing repair and roofing installation needs. We are ready to help you make sure that your entire project is running and operating correctly from start to finish. We'll work with vendors, contractors, and all trades on your construction or reconstruction projects. We'll also make sure that you have an accurate estimate before any project begins. There will be no guessing on how much the equipment, labor, or materials will cost because we will include this in the estimate. You can rely on us to handle your insurance repair jobs, remodeling work, additions, or new construction projects. Our business is BBB-accredited and we have over 20 years of experience in the industry. Our name is our philosophy! Have you recently purchased a home in need for Cypress Roof Repair, roof restoration or roof replacement? Perhaps your shingle asphalt roof is nearing the end of it's life cycle. Maybe your commercial building is experience leaks during inclement weather. Whatever the need, AGS, LLC will be more than happy to send out one of our expert Cypress Roofers to visit your home or commercial / industrial building to inspect the roof and evaluate the best option for roof repair, roof restoration or roof replacement. 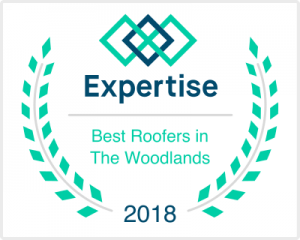 Our Cypress Roofing estimates are completely free so give us a call today to schedule a convenient time for us to come out for a free roof inspection. If your area has recently had a severe storm or hail storm it's always a good idea to call a local roofing company in Cypress like AGS, LLC to assess if any damage has occurred that you might not see at first glance. Often times, storm damage or hail damage is hidden from view in the underlying roofing material layers, so having an up close examination is highly encouraged. It’s important to have an experienced Cypress roofing contractor like AGS, LLC inspect the roof to pinpoint any roofing problems and also to mitigate any further damage from occurring. A thorough roofing inspection can will save you quite a bit of money in the long run if we identify any roof problems early. Often times, we can repair any damage right away which not only offers protection, but cuts down on a potential problem that goes unnoticed from turning into a major problem down the road. 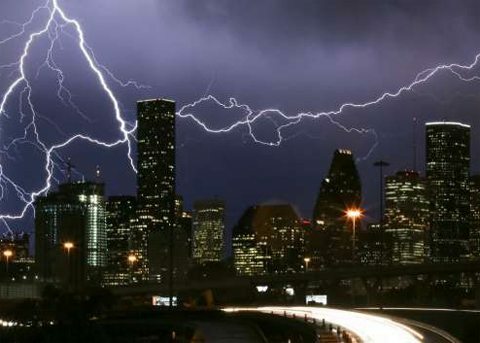 If Cypress or any cities in Greater Houston have experienced a recent hail storm, heavy winds or the like, have us come out to ensure that the structural integrity of your roof is intact. AGS, LLC replaced my roof and did a good job. They also replaced my back fence. Some pickets need to be replaced and I asked them to come out to replaced them but they have not. (Not pleased) I recently was in a major accident and needed a wheelchair ramp built on short notice. Sales manager Charles Stump jumped on the request and had it built in one day. I was so excited to find that the company AGS, LLC did not charge me for the ramp. These contractors have a big heart and am very grateful for their kindness. AGS replaced my roof and gutters this spring. I am satisfied with the work that was completed. Everything that was discussed between us was completed. There was a slight delay in replacing the gutter, but was worked out. They are worth a look. AGS went to the mats with my insurance company trying to get my roof replacement covered. I learned so much in the process! Unfortunately, the claim was not approved, but AGS still offered me a highly competitive quote! The crew knock the job out in a day and my roof just might be my new 'favorite spot' in the house now! I give AGS and ⭐️⭐️⭐️⭐️⭐️! Shop around but don't forget to CALL THE PROS @ AGS! You'll be glad you did! They demonstrate a complete willingness to work with you. This company has built a great reputation in the area for their honesty and great price which is not easy to find these days. I highly recommend AGS for any roofing or remodeling project. I have worked with them on a number of home remodeling projects over the 12+ years. I am always very satisfied with the quality of workmanship, their customer care, and the value. I always feel like they give me a great deal. As with any construction, there's been unforeseeable challenges that have come up and the AGS team responded professionally and promptly. I feel like they care about my satisfaction and go above and beyond to make sure the work is done right and in a timely manner. With my last home they remodeled the kitchen and bathrooms beautifully. For my current home they've remodeled the master bathroom, put in new tile and hardwood (Bamboo) floors throughout, replaced our backyard fence, and worked with our insurance company to replace the roof due to hail damage. I would not trust my home remodeling projects to anyone except AGS. I live in Cypress Tx. I hired AGS to replace our old roof. 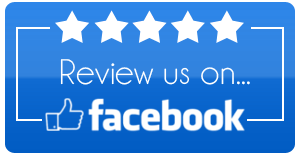 Very good experience - prompt, tidy, and friendly. Very satisfied with the work they did and would recommend them to someone else. Had AGS replace an old roof they did an incredible job would strongly recommend them to all my friends and family! AGS recently put a new roof on our home. The owner, as well as his employees, were extremely knowledgeable and helpful. We felt very confident in our decision to hire them and were extremely pleased with their work. They show up on time and work hard to get the job done. My husband has a construction background and is very hard to please. He was constantly checking their progress when they were roofing our home and was very impressed each time he went outside. They were very thorough and did not take shortcuts. I appreciated them covering and protecting my flower beds too! We now have had AGS install a new roof, a new deck, and do various sheetrock and painting jobs. We will continue to trust and hire them for all of our construction needs. I would highly recommend AGS for any work you might need done to your home or property. We just had our roof done by AGS and as we do not know anything about roofs, we have a lot of trust in AGS. We have used them before in painting and replacing our ceiling in the kitchen. Our roof looks great!! The workers came in as we were told by the contractor (Quentin) and were done in a day and 1/2. Both times they cleaned up when they were done. Quentin came back for a final inspection making sure we were pleased with the work. I highly recommend this company! I have known John Despeaux for almost 2 years now and he and his company do great work. He was able to get one of my clients a new roof after her insurance company initially refused to give her one. If you are looking for someone that is very trustworthy and you need a new roof you should look no further than John at AGS. I have always found John and his company to be highly reputable and very prompt to respond when information is needed. AGS has been amazing throughout my home repair from hurricane Harvey. They were very personable and always looking out for my best interest. I was so impressed with the the quality of their work on my home and highly recommend them. They also finished 2 months ahead of schedule! John and his company are simply GREAT. Responsible, works in a timely manner, utilizes very good materials and does not cut corners improving quality, reliability and excellent service. A person that dedicates to provide true value all around. If you want your roof done right, AGS is the way to go. John Despeaux is incredibly knowledgeable in his field, extremely professional, timely and has a heart for his clients. I am so impressed with John and his team! AGS did an amazing job on our house that we recently SOLD!! They did a complete remodel inside from painting, the entire inside, installing a new shower, and putting on a new roof!! Thank you so much for everything y’all did for us!! Big shout out to Q for all his hard work and time!! Live in Houston I hired AGS to replace my roof as well as hardy plank siding. They always had a lot of supervision. Very satisfied with the work they did and I will be hiring them to do some other stuff soon. Great looking roof. Rep constantly checked on workers. Cleaned up everything. I would definitely recommend..
including flood, wind, and hail damage.